We have not yet reviewed a Blog Hosting option for because they don't currenly appear to offer this type of hosting. If you are developing resource intensive websites or applications, the Bare Metal Simplified plan is suitable for you. It gives you dedicated server resources you can use to deploy around the world within minutes. However, Bare Metal Simplified is currently available only in Asia, North America, and Europe. Billing is on an hourly basis and anytime you need additional resources, you can always scale up. Zero Noisy Neighbors – You get 100% of the server hardware. This means no shared resources, no Input/output operations per second (IOPS) resource limits and metered CPUs. This is what it really means to live as a single-tenant in a server environment. Direct Access to Hardware – There is no visualization layer in Vultr Bare Metal. This means you have direct access to all the server resources, a perfect opportunity to accelerate resource-intensive applications. 10GbE Connectivity – With every dedicated server instance, you get a burstable 10GbE network connectivity. This brings high speed and low latency throughput much closer to your end users. This plan is a hybrid between Cloud Compute (VC2) and Bare Metal Simplified. It gives you dedicated resources laced with cloud flexibility. Much like Bare Metal Simplified, you do not share resources with any other user. 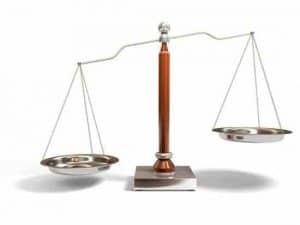 The difference that Dedicated Instances brings into the hosting space is that you can rent specified percentages of dedicated server spaces and enjoy hourly billing and fast provisioning. There are 4 sub-plans under Dedicated Instances. The lowest plan costs $60 per month and gives you 120 GB SSD. The highest plan gives you a total of 480 GB SSD for $240 per month. Dedicated vCPUs – Dedicated Instances gives you up to 8 vCPUs to choose from. There is no CPU sharing whatsoever. Network Connectivity – Each instance has access to 1GbE uplink and up to 40 TB bandwidth for data transfer. 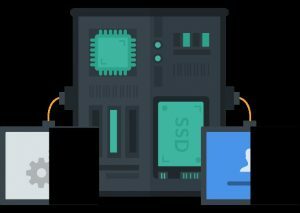 Free Distributed Denial of Service (DDOS) Protection in North America – The DDOS Protection monitors all incoming traffic for any anomalies. This gives you peace of mind to concentrate on your business to boost productivity. We have not yet reviewed a Wordpress Hosting option for because they don't currenly appear to offer this type of hosting. The cloud is a technology game changer and has the potential to drive business innovation. One of reasons businesses are yet to leverage on the power of cloud to shift their competitive landscapes is partly because of its complexity. Vultr is out to simplify this through customized, high-performance cloud-based hosting solutions. Vultr was launched in February 2014 and over the years they have made commendable progress both in expanding its data center coverage and technical infrastructure. For instance, in May 2015, they introduced high CPU plans and in March 2016, they launched their block storage solution. To date, the company has had over 17 million instances deployed and served more than 100,000 customers spread all over the world. 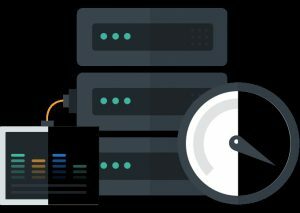 Therefore, if you are looking for cloud servers for compute instances or dedicated servers that will get you up and running in just minutes, Vultr has some of the most innovative hosting solutions in the industry. 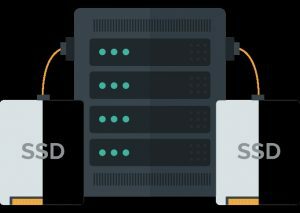 As a provider of high-performance SSD cloud servers, Vultr aims to continuously enhance the reliability and efficiency of their hosting services. 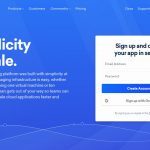 Whether you are a developer, a small business, or a multinational, you will find Vultr’s standardized platform one of the most flexible and competitively priced. If you are looking for cloud-based hosting, but not prepared for a long-term commitment, cloud compute (VC2) can serve you well. 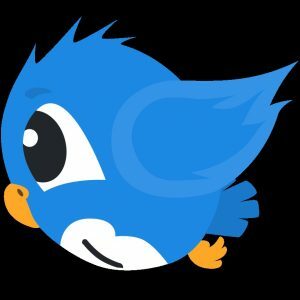 This is a powerful compute that allows you to deploy worldwide through Vultr’s 100% SSD storage in just under 60 seconds. Advanced Networking Connectivity – Through Cloud Compute (VC2), you can add multiple IPv4 addresses for every virtual private server, establish isolated regional private networks for your instances and enable IPv6 connectivity. Deployment Automation – You can easily automate your deployments using Vultr’s on-first-boot startup scripts and snapshot features. You can utilize these features directly from Vultr’s custom API. 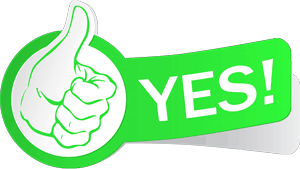 This is a recommended option if you are getting started with advance hosting. This option is designed for users with resource-intensive websites and applications. The best way to describe Bare Metal Simplified is to think of customized dedicated server hosting. One of the biggest advantage with this hosting plan is that it allows you to deploy in just minutes. If your web demands go up at any one given time, you can easily spin up additional server resources using automation. The dedicated hosting features in this plan allow you full control of your hosting environment and unrestricted access to all the physical hardware that supports your web resources. This is an innovative alternative to the Bare Metal Simplified plan. In this option, Vultr allow you to rent fractions of a dedicated server. Take an instance where you only want 50% of a dedicated server to host your website. This is possible with Dedicated Instances, thanks to its flexibility. Ideally, users who find the cloud compute plan a bit restrictive and the Bare Mental Simplified plan too much for their needs, are best served by Dedicated Instances. This is not a hosting solution, rather a storage service. 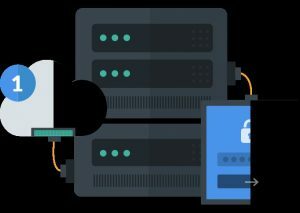 In providing the Block Storage service, Vultr want to create expandable storage volumes which you can use with any of their plans. Currently, Block Storage is limited to the New Jersey Cloud Center and therefore not available in the other 14 data centers. Each Block Storage is replicated into 3 copies and stored in a highly available cluster. In this way, you can always have a backup in case of server failure or any other technical issues. In terms of performance and reliability, Block Storage is rated highly. It is backed by NVMe Enterprise SSD, which is a high-speed host controller interface designed for enterprises, client systems, and data centers. It allows for high speed data throughput of up to 1,200 MB per second. Vultr Block Storage is billed per hour. The lowest package is 10 GB SSD at $1 per month and the highest is 10,000 GB SSD storage at $1,000 per month. Vultr have invested heavily in improving their hosting infrastructure from the Cloud Compute (VC2) to Bare Metal Simplified. There are many obvious benefits to end users that have come with this. Below is a summary of the top benefits you are guaranteed to enjoy. Vultr gives you the opportunity to develop locally and deploy globally. They have one of the largest network of data center locations from North America to East Asia. The total number of the locations is currently at 15. With this wide range of choice, you can deploy on a data center closer to your target audience. Vultr’s intuitive control panel allows you to deploy a high-performance cloud server instantly. The control panel gives you access to server instances, snapshots, ISO, SSH keys, firewalls, startup scripts, and reserved IPs all from one dashboard. This makes it easier for you to monitor among other things the health of your server through parameters such as bandwidth and CPU usage. You can spin up a new instance with your choice operating system in a matter of seconds. Among the operating systems to choose from include CentOS, CoreOS, Debian, Fedora, FreeBSD, OpenBSD, Ubuntu, and Windows. You can also upload your own OS. All datacenters are secure and located in discreet environments. The physical access is restricted to only allow relevant personnel. In case of failure, the backup system picks up pretty fast to restore everything back to its original state. You can contact the customer care team through ticketing, social media, or email. Alternatively, you can tap into the wealth of knowledge provided by Vultr’s vibrant online community at discuss.vultr.com. There are also helpful guides, FAQs, and other resources for you to go through. Save for a few minor downsides, Vultr is a great host. However, many customers find paying on the first of the month a little restricting. The good news is, you get value for every penny you spend. Developers may encounter technical issues like blocked SMTP. This is however rectified quickly by getting in touch with the support team. Leveraging on the cloud can give you mileage ahead of your competitors. Hosting your web resources on a reliable infrastructure with root administrator access, 100% Intel cores, and an infinite number of OS combinations, guarantees you and your clients quality web experience. Vultr brings on board one of the most efficient and reliable hosting solutions for launching blazing fast cloud servers. The SSD servers have a global presence through 15 data centers. This means you can launch your website from any of these regions to help you get your services closer to your audience. The CPUs that Vultr uses, are the latest generation Intel cores. This assures you of fast processing times and quick deployments. Their prices are competitive and with as little as $2.50 per month, you can get a cloud hosting plan.